As an expected 15,000 attendees gather on the Quad on May 9 for Emory's 171st Commencement, the University will confer honorary degrees on a Nobel laureate, an international autism advocate and the person who gave Emory one of its major literary jewels, the Raymond Danowski Poetry Library. Honorary degrees are presented to those who have achieved "the highest distinction in a field of learning, the arts, the professions, or public service, especially those achievements that contribute to the life of the mind and human spirit," according to the degree criteria. This year, Emory will recognize Raymond Danowski, Temple Grandin and Amartya Sen with honorary degrees. Commencement speaker William Foege, who already holds an honorary degree from Emory, will receive the Emory President’s Medal, one of the highest honors granted by the University. Foege is the epidemiologist credited with devising the strategy to eradicate smallpox. He was also on the faculty of Emory, where he was the Presidential Distinguished Professor of International Health at the Rollins School of Public Health. He was awarded the Presidential Medal of Freedom in 2012 by President Barack Obama. “Bill Foege combines greatness of heart with a first-rate mind and a commitment to improve the well being of humanity,” Emory President James Wagner noted when announcing Foege as the 2015 Commencement speaker. 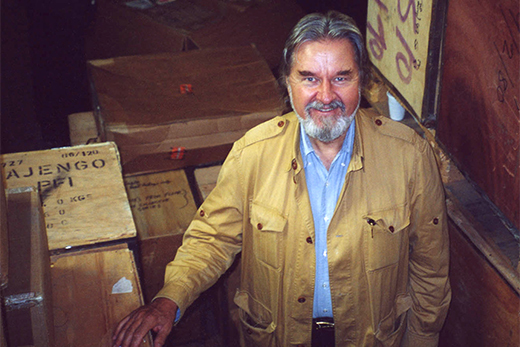 Raymond Danowski, who set out to gather every book of poetry published in English in the 20th century and then donated his library to Emory, will receive the honorary doctor of humane letters degree. Photo courtesy Emory Libraries. Raymond Danowski will receive the honorary doctor of humane letters degree, presented by Emory College Dean Robin Forman. Danowski, an American-born fine arts dealer who now lives in South Africa, had the desire to gather every book of poetry published in English in the 20th century. Over 30 years, he largely accomplished his goal, and in 2004, he placed the materials in Emory's Stuart A. Rose Manuscript, Archives and Rare Book Library. Danowski said he made the decision, in part, because of Emory’s emphasis on student scholarship and community access. In a series of videos on the Danowski Poetry Library scholarblog, he reflects on what motivated him to start collecting poetry and why he chose Emory to place his collection. Now, the Raymond Danowski Poetry Library continues to expand and connect with modern-day works via new acquisitions, an ongoing reading series and other initiatives. “Raymond Danowski is a person of great breadth of knowledge, steadfast generosity and enormous powers of persistence,” says Rosemary Magee, director of the Rose Library, home to the Raymond Danowski Poetry Library. “We are honored to be associated with him through his vast poetry collection, which is integral to the Rose Library and which influences students as well as scholars every day,” she continues. “We are thrilled to see Raymond and his contributions to our shared mission celebrated with an honorary degree." 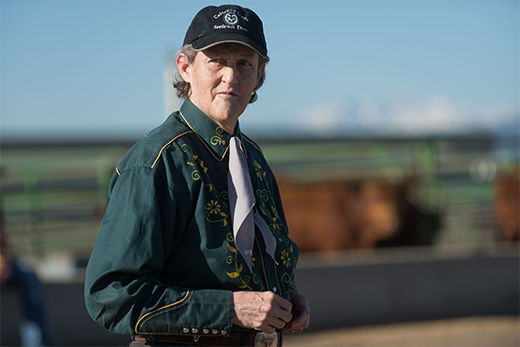 Temple Grandin, a leading advocate for the autism community and well-known researcher in the field of animal science, will receive the honorary doctor of letters degree. Photo by Colorado State University Photography. Temple Grandin will receive the honorary doctor of letters degree, presented by Emory School of Medicine Dean Christian Larsen. She is also a well-known researcher in the field of animal science, professor of animal science at Colorado State University and a consultant to the livestock industry on animal behavior. In the 2010 Time 100, an annual list of the 100 most influential people in the world, she was named in the "Heroes" category. “Dr. Grandin is an inspiration as a leader in the field of animal science and as an adult with autism living a very full life,” says Catherine Rice, director of Emory Autism Center. Grandin will give a special lecture on Sunday, May 8, in the Emerson Concert Hall at the Schwartz Center for Performing Arts. Her talk, “Helping Different Kinds of Minds Solve Problems,” is sold out. Amartya Sen, awarded the Nobel Prize in Economic Sciences in 1998 in recognition of his groundbreaking research into welfare economics, will receive the honorary doctor of letters degree. Photo by Stephanie Mitchell/Harvard Staff Photographer. 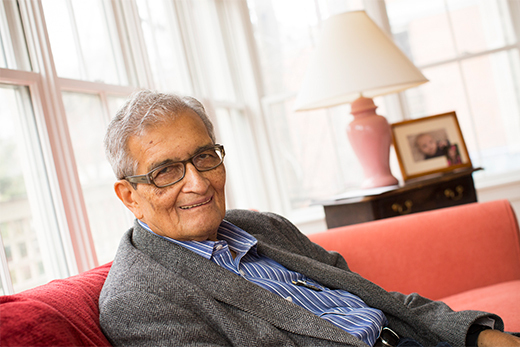 Amartya Sen will receive an honorary doctor of letters degree, presented by Laney Graduate School Dean Lisa Tedesco. Sen was awarded the Nobel Prize in Economic Sciences in 1998 in recognition of his groundbreaking research into welfare economics and the understanding of how economic policies affect nations and communities. Currently the Thomas W. Lamont University Professor and Professor of Economics and Philosophy at Harvard University, Sen has made contributions to welfare economics, social choice theory, economic and social justice, economic theories of famines, and indexes of the measure of well-being of citizens of developing countries. He will also deliver the inaugural Milton Kafoglis lecture at Emory on Sunday, May 8; his topic will be global security. “As a University that prides itself on serving humanity through research and teaching and application of knowledge, the awarding of an Emory honorary degree to Dr. Amartya Sen is both a visible and symbolic affirmation of our commitment to — and responsibility for — the global good,” Tedesco says. “The development of our understanding of how economic policies affect global security, development, health, social justice and community-building is of monumental importance in an increasingly interconnected world," she continues. "Dr. Amartya Sen’s research and scholarship continue to chart the path forward to that understanding."